A History of United States Military Sidearms, Part 5: 2000 - Present | Numrich Gun Parts Corp.
United States military firearms have evolved quite a bit over the years. The evolution of the sidearm, from single shot percussion pistols, to the cap and ball revolvers, to the modern semi-automatic pistols of the 21st century, has been a long road with many updates along the way. As we progress further into the modern age, the need for combat pistols has changed as well. Different wars and fighting conditions have led to a variety of sidearms being issued in the field, albeit in varying numbers. Let's take a look at the pistols in use today. From 1985 - 2017, the Beretta M9 was the standard issue pistol of the United States armed forces. This large frame 9mm pistol has served all over the globe with varying levels of success. The 9mm round is a faster, deeper penetrating round than the .45 Auto, which at times has led to issues in the field when trying to stop attackers. These pistols have also started to wear out from years of use. In recent years, there have been several attempts to replace the M9 with a new pistol, but most of the trials never got off the ground — that is, until 2015, with the XM17 Modular Handgun System competition. The military wanted a new handgun with a specific feature set and the ability to easily change frame and slide sizes to be used in a variety of situations. A new standard issue pistol was chosen, but there are also several other handguns that have been in use in limited quantities recently that are worth discussing. As combat needs changed, some units needed smaller, more compact pistols to easily carry with all their gear. Other units opted for a step back into the past, utilizing variants of the 1911 pistol. The USMC has been issuing 1911 pistols to several units for a number of years. This started with Kimber models modified to the Marine Corps' needs, including advanced controls and light attachments. 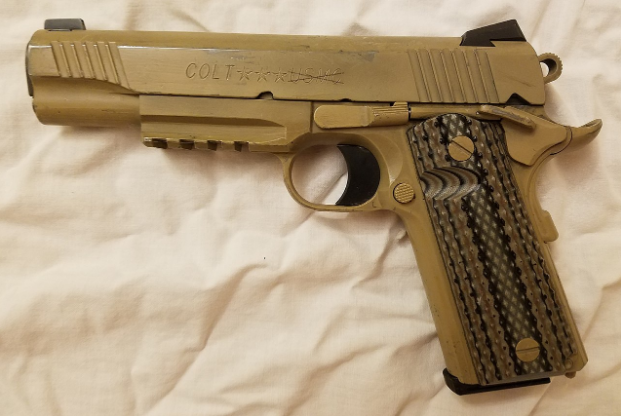 The USMC then adopted the new Colt M45A1 1911 pistol, featuring a light rail and a light tan finish, to serve as a close quarter combat pistol. 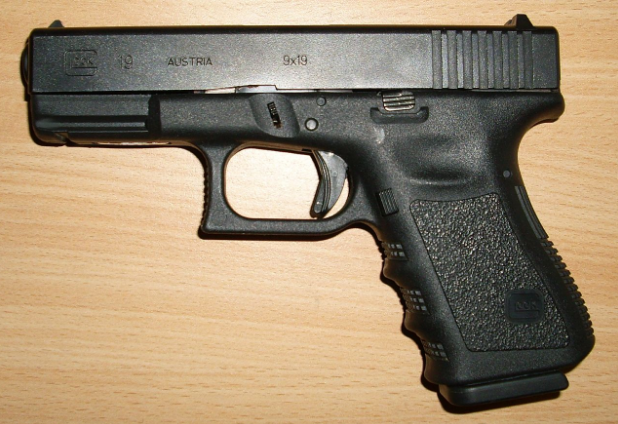 The GLOCK 19 9mm compact pistol has also been a popular choice for operators needing the same firepower as the M9 (15 rounds of 9mm), but in a smaller and more lightweight package. Dubbed the M007 by the Marines, the GLOCK 19 has been extremely popular all over the world due to its compact size, ease of use and extreme reliability. Finding that the H&K SOCOM MK23 was too large for most operations, the US Navy started issuing the new HK45 and HK45 Compact Tactical pistols to its Special Forces units as a suitable replacement. 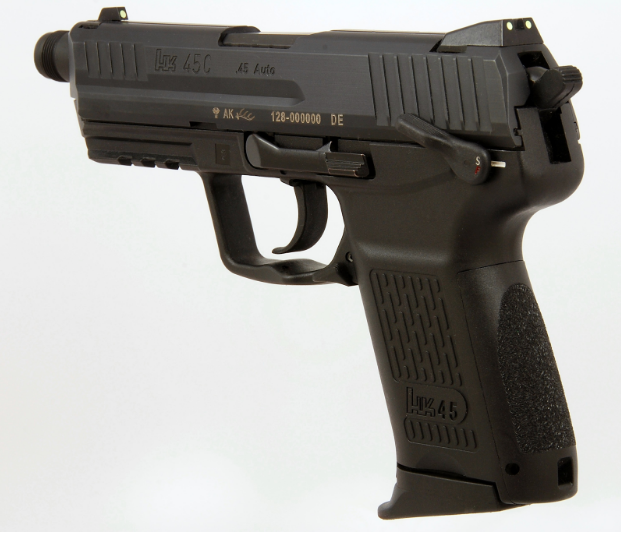 The HK45c Tactical provides 8 rounds of .45 Auto with the ability to easily attach lights and suppressors in a small and lightweight frame. In January 2017, it was announced that the Sig Sauer P320 won the combat pistol trials and would be adopted as the new sidearm for the US Army. The Navy, Marines, and Air Force soon followed suit. It has been determined that in the next decade all M9, M45A1, and M007 pistols in use by the armed force will be phased out and replaced by the M17. 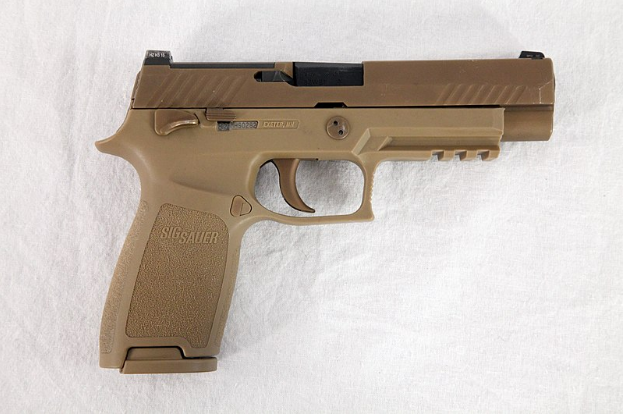 The Sig Sauer P320 is a modular handgun platform. This easily allows for changes in grip size, barrel length, and slide length with very little effort. The full size pistol will be designated the M17, with compact variants being named the M18. With this modular "one size fits all" system, it is far easier to equip the pistol to military personnel. The first M17 pistols were issued to the US Army 101st Airborne unit. Shooters have stated that the M17 shoots easier and more accurately than the old M9s, but time will tell how this new pistol holds up in the field. US Military firearms have had a long and winding history over the last 240 years. The sidearm has gone through many changes as needs have changed, technology has advanced, and war has evolved. All of our past sidearms have served us well in times of peace and in times of conflict, and the new M17 should help the US Military forge into the future.